Отель Тукан в Красной Поляне. Номера. Стандартный номер. 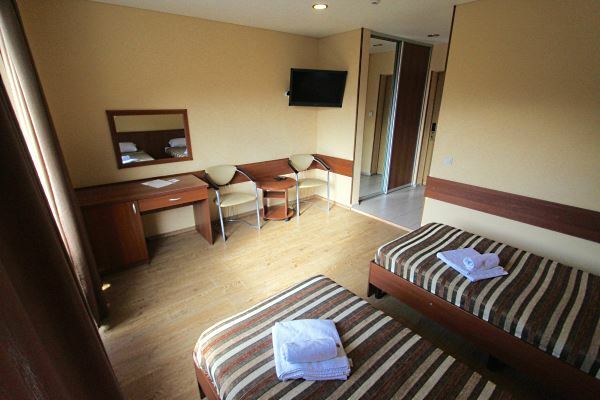 Bright room with floor heating, with 1 bed or 2 separate beds. 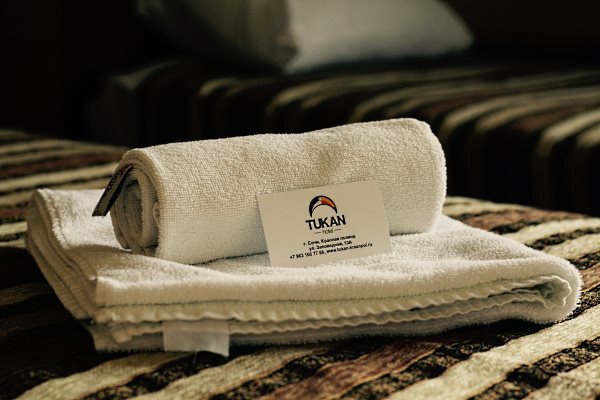 Services and facilities: Balcony,Garden View, Mountain View, telephone, free Wi-Fi, LCD flat-screen TV, Heating, Mosquito Net, Wardrobe, Shower, Hairdryer, Toilet, Bathroom, Refrigerator. Upper floors are only accessible by stairs.